Hi Egos! For the sake of science I risked my health again! This time my stomach could have gotten serious damage but that's the price you have to pay as an aspiring scientologist! I know, I know I might have exaggerated the situation a little. That's just how I role. :-P So as the title suggests I tried some canned food. Usually I'm a big believer in fresh, self-cooked meals but as I was walking down the aisle in the supermarket together with my lovely sister (who had to pay for the food by the way :D) something sparkly caught my eyes. 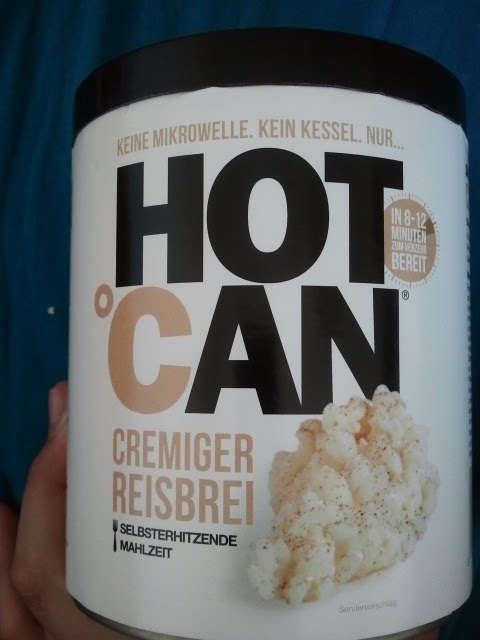 I went to take a closer look and found the following can! They sold it in different flavours but for some reason I find most canned meals somewhat disgusting. The idea of a meal that doesn't require a microwave or boiling water to be warm was so exciting that I went for this rice pudding though. So this can has two layers around the food inside. 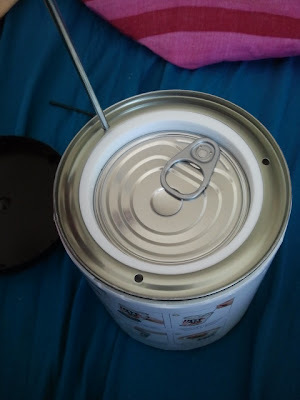 The inner layer is like a regular can and the outer layer is filled with some chemicals and water. The last two aren't connected until you put this little thingy in those three holes. Afterwards a rather complicated chemical reaction is happening that is beyond my understanding and heat develops. :-D That heat is what gets the food inside warm. Now that was the interesting part. The following part - tasting the result- wasn't as exciting. The food itself really isn't all that great. It seems rather overcooked and I am sure that there are thousands of unhealthy ingredients mixed together. It doesn't even look delicious. I don't mind though. Let's be honest: I only bought -my sister paid but I wanted to get it :-D - this can because it was something new that I had never seen before. 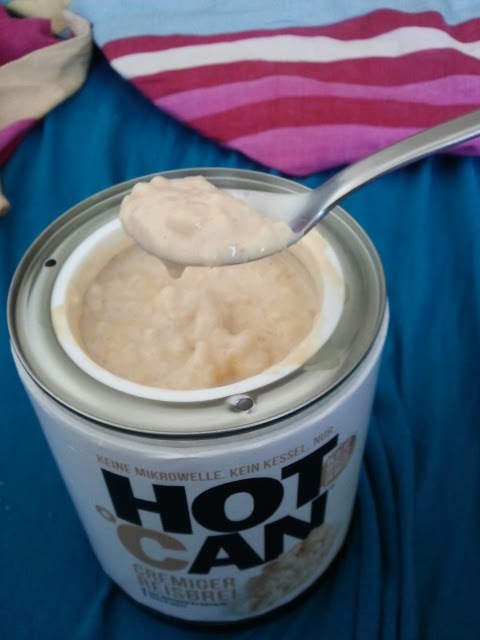 The same food in a regular can wouldn't have caught my attention at all. My stomach also doesn't like this kind of meal. I'm still alive but some very weird noises came from my belly right after I ate a few bites. I threw the rest away since it had served it's purpose.